This space highlights programs and promotions that help encourage and reward the B.Y.O. spirit. Let us know if you see something cool while you're out, and you might see it featured here. Literally, that is. 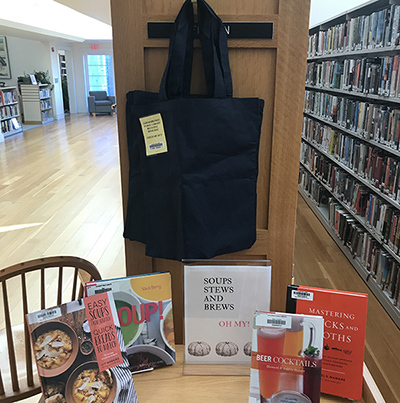 Now when you borrow books at the Chilmark Library you can also check out a nice, strong bag to carry them home. Just bring the books back in the bag when you return — brilliant! Saturday, Jan. 19, 10:30 — noon, Oak Bluffs. Winter is the perfect time to dream about (and plan for) a garden that nourishes people, wildlife, and the planet. Learn how to use regenerative gardening practices to grow edible plants, conserve water, eliminate your use of fossil fuels, and make compost in your own backyard. This is the first of three workshop sessions, and will be held at the O.B. Library. The others will be Feb. 16 at the West Tisbury Library, and March 23 at the V.H. Library. No experience necessary, for more info, contact Noli via email or at (508) 687-9062. Saturday, Jan. 19, 3:30 — 4:30 pm, West Tisbury. Local waste management researcher (and garbage enthusiast) Sakiko Isomichi presents "Let's Talk About Garbage!" Her talk will recap recent trips to the off-island destinations of our recycling and trash, and offer other information she has gathered from studying the Island's waste management system. A free talk at the West Tisbury Library, click here for poster and details. Thursday, Jan. 24, 4:30 — 5:30 pm, West Tisbury. A group of 5th graders at the West Tisbury School is proposing a ban on single-use plastic bottles, to be voted on at this year's Town Meetings in West Tisbury and Chilmark. The students will host a Q&A session to discuss how their proposed bylaw would work, and the broader issues of plastic pollution on our Island and in the ocean. 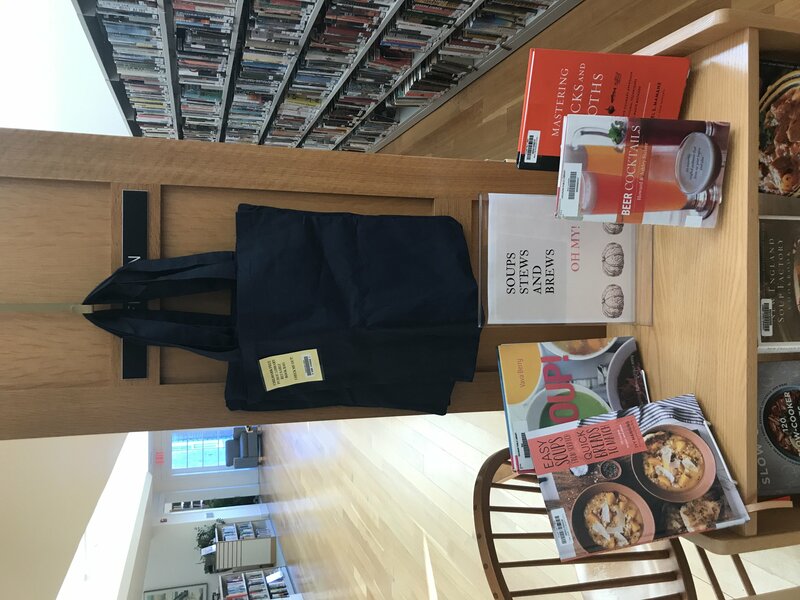 At the West Tisbury Library, email Annemarie for more info. 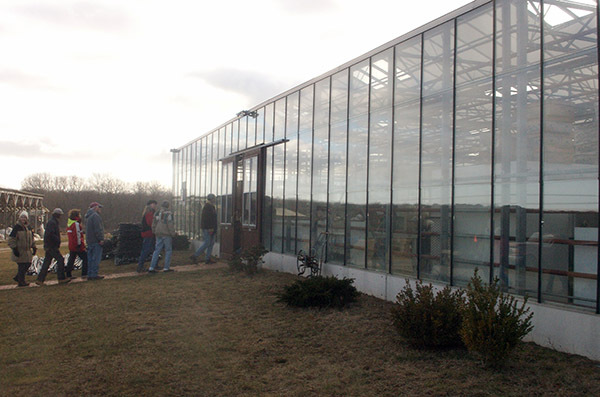 The greenhouse remains, but much has changed since our last Winter Walk at Thimble Farm eleven years ago, with many exciting new developments at the Island Grown Initiative's Farm Hub. This Sunday (Jan. 13), our first Winter Walk of the New Year will be an educational collaboration with Island Grown Initiative at their Farm Hub, located at the historic Thimble Farm. Co-led by Farm Hub director Matthew Dix and VCS's Brendan O'Neill, we will learn about current farm operations and other initiatives at Thimble, as well as the conservation and land use history of the farm and surrounding properties. The walk begins at 10:00 am and is expected to last about 2 hours. At VCS we are often asked about the possibility of expanding the current 5 cent deposit on bottles of soda and beer to include other beverages (water, juice, wine, etc.) or other bottle sizes, most frequently the much-maligned “nip” liquor bottle. The short answer is that we certainly would support such a measure, because historical evidence from around the world demonstrates bottle deposits increase recycling rates. The longer answer is that since the original Massachusetts Bottle Bill was passed in 1982, the proportion of bottled beverages to which the deposit does not apply has increased dramatically – up to 30% of all bottles sold by 2013, and likely higher today. This is due to the increased popularity since 1982 (or outright invention) of bottled tea, coffee drinks, new sports and “energy” drinks, and most important of all, single-serving water. However, that longer answer also includes a dose of political realism. Industry opposition to bottle bills – expressed through lobbying and campaign donations – is intense (and at least so far, highly effective). Updates and expansions of the Mass Bottle Bill have come before the state legislature multiple times since 2000 and been consistently defeated. Furthermore, failure here is not so easily pinned on weak-willed or venal politicians. In 2014, a Bottle Bill expansion was brought directly to the voters: Ballot Question #2, which would have applied the 5 cent deposit to most non-alcoholic beverages, was defeated by a nearly 3:1 margin. That is a very large margin for a ballot question. Consider that on the very same ballot in 2014, Question #1, which by seeking to reduce gas taxes placed in opposition the same values of environmental protection vs. consumer prices, passed with just 53% of the vote. Perhaps 2014's resounding defeat at the hands of the voters was also due to corporate power. While the Governor, other politicians, and the Boston Globe supported the measure, campaign spending by industry bested that of the initiative's proponents by a 6:1 margin. Or, perhaps, this defeat was just another example of the political truism that voters never choose to raise their own taxes, which a bottle deposit certainly does resemble. Therefore, we are not terribly optimistic that a major expansion of the Bottle Bill will occur in the near future without a major change in the nature of the proposal, facts on the ground, or public opinion. But there are reasons for cautious optimism on some or all of those fronts, chiefly the view of the public regarding disposable plastics in general. On this issue, public opinion in Massachusetts appears to be changing very quickly. For example, in just a few years plastic bag bans have moved from a fringe idea to an accepted way of life in many towns. It is conceivable that a new bottle bill that 1) offers leaders and policymakers some technical and/or economic solutions to the currently perilous state of recycling in America (e.g., would reverse vending machines that sort and crush recyclables yield a more marketable product than single-stream bins? ), and 2) heavily focuses its public advocacy efforts on the impacts of ocean pollution on wildlife, could today garner enough support to pass.